CANADA: While the UK, USA and Australia have had national accessibility legislation in place for many years, it has taken until 2018 for the Canadian government to follow suit. The governing Liberals held consultations which led to the proposal that all federally governed buildings must be accessible to all. Not even all federal websites are accessible, so the government still has a long way to go in improving disabled access. However, this new legislation marks a big step forward. How Have Other Countries Improved Accessibility? The Americans with Disabilities Act is an important piece of civil rights legislation, passed by the American Congress in 1990. It is a comprehensive, nationwide law which prevents discrimination against those with disabilities. It was designed to ensure that all federal buildings are entirely accessible, so that anyone with physical impairments are able to access the same government services as everyone else. So while New York is wheelchair friendly, Newfoundland may not be. Without equal protection in law, some people with disabilities are prevented from doing important everyday tasks such as going to the bank to make a transaction. In the UK, national legislation has led to improvements in banking. 80% of Barclays ATMs have an audio setting for the hearing impaired and HSBC offer access to a British Sign Language interpreter. Canada is falling behind in this area. Australia has had its Disability and Discrimination Act in place since 1992, which ensures all government websites meet a high standard of accessibility. With all these other countries having anti-discrimination laws since the 1990s, Canada is behind the times. 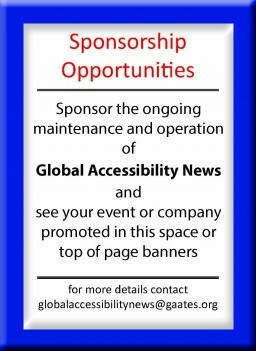 2018, however, will be the year that the government enacts nationwide accessibility legislation on the same level as these other countries. What Will the New Legislation Involve? Only Ontario, Nova Scotia and Manitoba have legislation meeting the needs of disabled residents. All other provinces have failed to put equal treatment into law. This is why the government has decided it needs to take a federal approach. Kent Hehr, a quadriplegic and minister for persons with disabilities, has promised that the bill will be ready for spring 2018. However, he has declined to disclose details on what the legislation will include. All countries have different laws regarding this issue, so it is unclear what exactly will be included in the bill. However, it is clear that Hehr understands the everyday barriers faced by disabled people. He will likely focus on transport and access to federal buildings. Airports, in particular, require higher legal standards, since they are routinely failing people with disabilities. The 2018 bill is good news for those with disabilities. 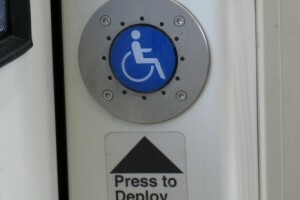 It will mean a nationwide standard of accessibility, making life easier in every part of the country. Although the details are not yet known, the legislation will likely be similar to that of the UK, USA and Australia. All of these countries have a nationwide ban on federal areas discriminating based on disabilities and Canada should be looking to do the same.